H A V E A N A W E S O M E D A Y! . SEE THE PICTURES CAREFULLY . Used and in good working condition. Exterior has normal wear - scratched/scuffed, dirty, oily, etc. No dents or cracks. Gear teeth are intact. 1986-91 FE434 FE444 FG434. FUSO CANTER. MITSUBISHI FUSO. - FUSO TRUCK. =========================================================================. not ensure the product supplied will be identical in appearance to that of the image. The picture is for display purposes only and we can. MITSUBISHI FUSO CANTER. POWER STEERING PUMP;. FE639 FE449 FE439 FE649 FG649 FG639 FG439 3.9L. 1986-1991 FK417 FK457. not ensure the product supplied will be identical in appearance to that of the image. The picture is for display purposes only and we can. If there is anything wrong. Any claims made outside the 48 hours will be refused. 4.9L AT 122k Power Steering Res 08102018. Power Steering Reservoir. Parts Grading. A Grade - The highest quality part. It is of low miles and/or exceptional condition for its age. Pick up at our facilities is available. 1989-1995 FM557. =========================================================================. not ensure the product supplied will be identical in appearance to that of the image. The picture is for display purposes only and we can. Model - Canter (FB7, FB8, FE7, FE8) 7. Year of Manufacture - 2014. OEM:MC090259 MC092059 475-03479 475-03498. Manufactory Ref No. :MC090259 475-03479 MC092059 475-03498. Power steering pump for Mitsubishi FUSO 6D16 truck. Highest Rotational Speed:500-3200r/min. 4.9L USED Power Steering Res. Parts Grading. B Grade - The second level quality part. It is of average miles and normal condition for its age. A Grade - The highest quality part. It is of low miles and/or exceptional condition for its age. OEM:MC092058 MC811879 475-03423 475-03478. Power steering pump for Mitsubishi FUSO 6D14 6D15. OEM Ref No. :Mitsubshi FUSO 6D14/6. Highest rotational speed:500-3200r/min. 1986-1991 FM555 FK415 FK455. =========================================================================. not ensure the product supplied will be identical in appearance to that of the image. The picture is for display purposes only and we can. 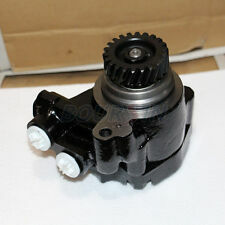 Power steering pump for Mitsubishi truck FUSO 6D16. OEM Ref NO. :FUSO 6D16. Fuel Feed Hole:M20x1.5. Highest Rotational Speed:500-3200r/min. OEM: MC043047 475-03434 MC826124 475-03428. Power steering pump for Mitsubishi truck FUSO 6D14 6D15. OEM Ref No. :MITSUBISHI FUSO 6D14/6D15. Highest Rotational Speed:500-3200r/min. 90 DAY MONEY BACK GUARANTEE!!! OEM: MC803817 MC827925. Manufactory Ref No. :MC803817 MC827925. Power steering pump for Mitsubishi truck FUSO 6D22T. OEM Ref NO. :FUSO 6D22T. Highest Rotational Speed:500-3600r/min. OEM:MC826183 475-03520 57100-73102. Power steering pump for Hyundai/Mitsubishi Fuso 320 8DC9 6D22 Truck. Manufactory Ref Number:MC826183/475-03520/57100-73102 OEM REF No. :FUSO 320/8DC9/6D22. Highest Rotational Speed:500-3200 r/min. 1997 - 2005 Mitsubishi Fuso Canter [ FE639 / FE649 / FE659 / FG639 / FG649 ] 4D34 3.9L. 1997 - 2002 Mitsubishi Fuso Canter [ FE537 / FE637 / FE647 / FE657 / FG637 ] 4D33 4.2L. 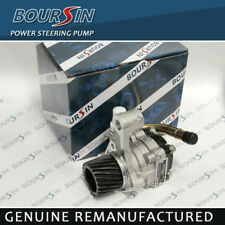 This Steering Pump is manufactured and tested to the strictest OEM standards for unparalleled performance. 1985 - 1993 Mitsubishi FUSO Canter FE305B / FE305BD / FE315B / FE315BD / FE325E / FE335B / FE335E / FE335EV / FE425E / FE435C / FE435E / FE435F 4D32 3.6L. 1985 - 1989 Mitsubishi FUSO Canter FE334E / FE434E / FE434F / FE444E / FE444F 4D31-T 3.3L. ENGINE CODE:4D33 4D34 4D34-T DIESEL ENGINE. COMPATIBLE FOR VARIOUS MODELS OF MITSUBISHI FITTED WITH ABOVE ENGINE SPECIFICATIONS. WE ARE ALSO NOT RESPONSIBLE FOR ANY LABOR EXPENSES, TOWING EXPENSES OR RENTAL CAR EXPENSES CAUSED BY THE USE OF WRONG OR DEFECTIVE PARTS DURING INSTALLATION. Power Steering Pump For Fuso / Mitsubishi 4D31 / 4D42 Engine. Fuso / Mitsubishi Canter. We will reply you soon after we get office. ( MK383006). Fuso / Mitsubishi Canter FE83. Power Steering Pump For Fuso / Mitsubishi 4D34 Engine. Established for over 3 decades,EH Auto Link has been importing automotive parts from Japan, Korea, China and India. We will reply you soon after we get office. Notice: Because our parts are professional. 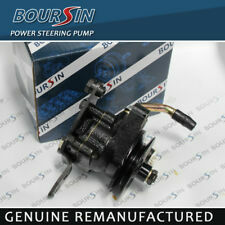 Power Steering Pump For Fuso / Mitsubishi 4D31 / 4D42 Engine. Fuso / Mitsubishi Canter. Established for over 3 decades,EH Auto Link has been importing automotive parts from Japan, Korea, China and India.